This week we are preparing as usual this month for the tests and the randori month. We will work with Kick-jump combos from Togakure Ryu and continue to explore advanced throws. This Friday we will practice sword at Tel Aviv dojo. Last week we concluded the 4th Ninjutsu colloquium. It was great to see those veterans who did not get drafted at the session. Video coming soon. Thank you all. We’ll work together tomorrow morning, 25.7.2014, 08:00-10:00, at AKBAN Tel Aviv, Hayarkon 294 St. Tel Aviv on our 4th Ninjutsu colloquium. If you hear about AKBAN colloquiums for the first time, here’s a summery: We take apart a traditional Ninjutsu technique or principle and analyse these with scientific tools, we then incorporate the results into the syllabus with the Methodical Pyramid. If you can not come tomorrow please take care. For those that will, I’ll be there too. 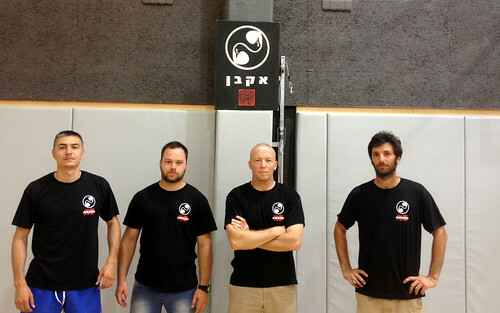 We are training as usual and in Jerusalem we will be at the Tedi Stadium dojo. We will be working with more advanced Belt grades techniques, including First police hold, sequences of kicks and advanced throws, Kibisu Gaeshi included. 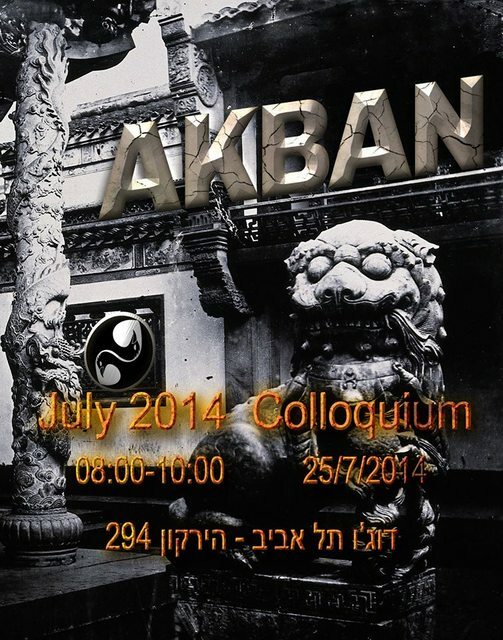 This Friday, 25.7.2014, at 08:00, we will meet in Tel Aviv dojo for our fourth colloquium this year. Take care. This week we will train as usual even though we’ll probably experience rocket fire again. The Jerusalem dojo will be moving back to Tedi stadium dojo till the end of this small war. We have top-grade bomb shelter on the Tedi center ground floor. We also opened up the bomb shelter in Ramat Hasharon dojo and it will allow us a quick response just in case. To the point. We are continuing this week our recap of the technical requirements for the Ninjutsu grade tests. We will focus on throws and shoulder arm locks. I still don’t know if we will be doing Niradin weapon training because of some rental issues. Stay safe, breath deeply and don’t flinch. See you in the dojo. Signs that warn: “beware of pickpockets” are a favorite hangout of pickpockets. They base their felony on fear derived attention. It’s the best place to know where valuables are. People will always touch the place when they see the sign. When one looks deeper one sees different reality. The Jerusalem session today at the Wohl Rose Park is cancelled and we will return and train at the regular Tedi dojo from Sunday till the end of this small war – we’ll train at the summer hours 18:00-20:00. This precaution is due to the rocket attacks on Jerusalem and Tel Aviv. The Wohl Rose Park is the greatest place to train at, but it lacks a bomb shelter at a running distance, I checked… So today’s session is off and we start this Sunday at the Tedi dojo, 10 seconds walk from top-grade bomb shelter. Please be safe, AKBAN veterans! Keep training! This week we will repeat and correct the material for Yellow belt in Ninjutsu and the techniques for Orange belt. 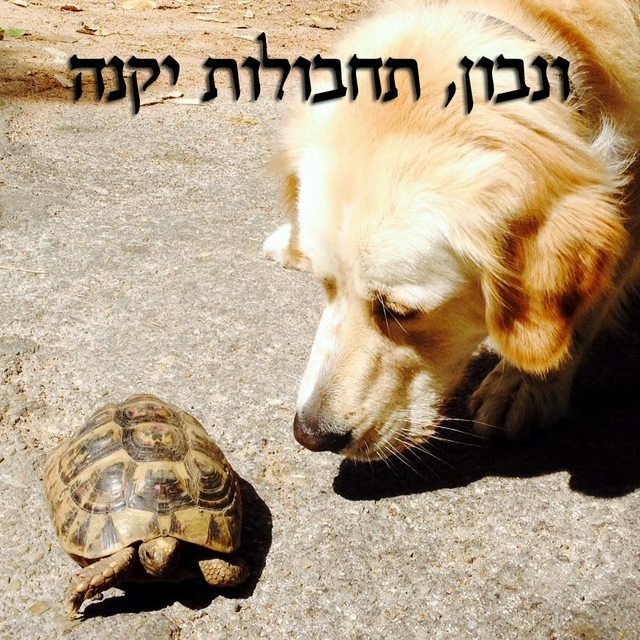 The Jerusalem group will work in Wohl Rose Park, Gan Havradim top meadow, near the Supreme court building. We will not have a Sword-Niradin session this week. 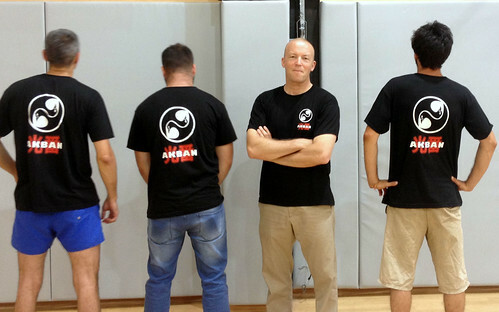 Shmulik Bar Kana has a limited number of the new AKBAN T-shirts. 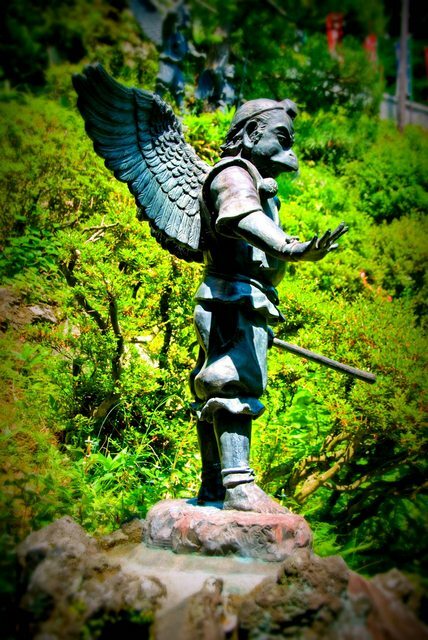 The warrior at once crushed it under his foot and said, ‘Heaven and earth broken up altogether’. Anzan stood with his hands crossed over his breast. The teacher hit him, and he involuntarily cried out from the pain of his wounds. Anzan, supporting himself on his blood stained sword, gave a great Katzu! (special Zen Kiai) and died standing in front of the teacher. 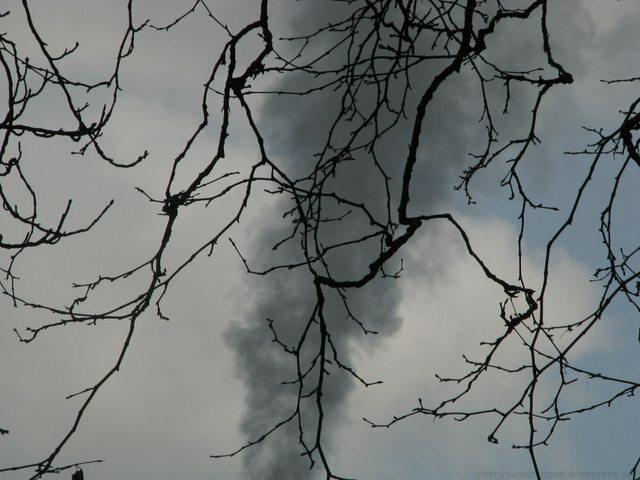 kōan: When heaven and earth are broken up, how is it with you?